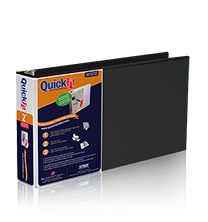 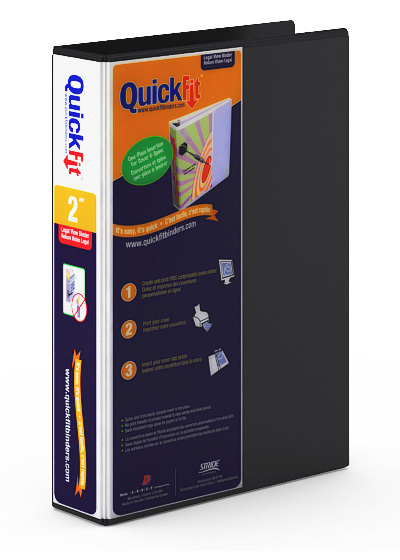 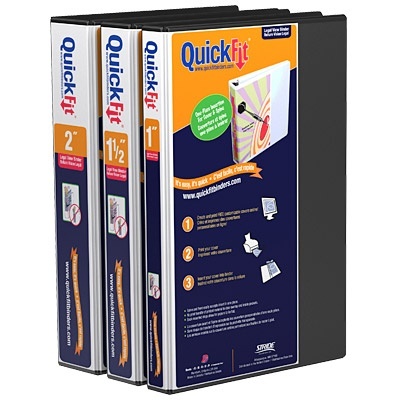 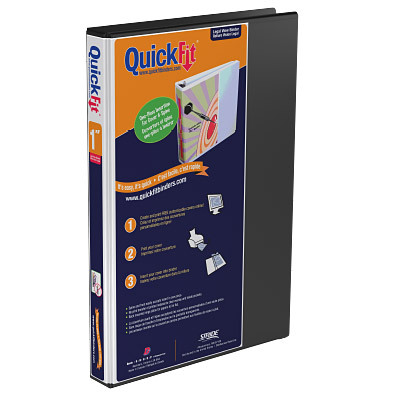 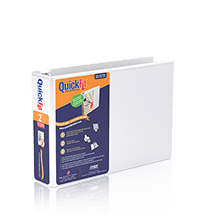 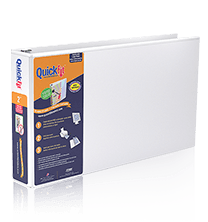 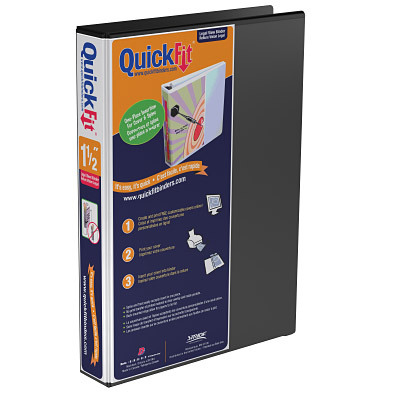 The QuickFit® Deluxe Legal View Binder has a unique overlay design which allows you to use a single sheet of 8 1/2" x 14" paper to create a custom presentation insert that wraps around the spine to the front cover. 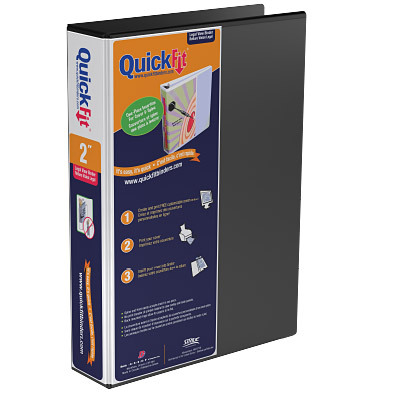 This one-piece insert provides ease of use and enables quick identification for all your legal binders. 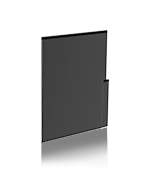 Available in a 3 ring angle D format.